Are you looking for perfect and comfy mattresses in Melbourne? 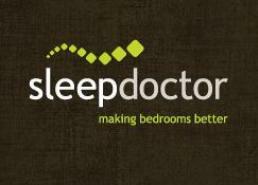 Check it out at Sleep Doctor today! We have a range of quality products you can choose from; such as natural latex mattresses, visco mattresses, kid's mattresses, adult mattresses, mobility impaired mattresses and memory foam mattresses. As an expert in mattresses, our bed specialist sales staff knows how to diagnose the correct mattress for you, depending on your health or back problems, sleep preferences, age, shape and weight. When choosing mattresses for a good night sleep, don't care too much on brand names, pay attention to its features and quality of materials used. Balwyn, Blackburn, Box Hill, Burwood, Camberwell, Canterbury, Doncaster, Donvale, Hawthorn, Ivanhoe, Kew, Mitcham, Mont Albert, Nunawading, Surrey Hills, Templestowe, Vermont, Melbourne, Brunswick, Burnley, Carlton, Collingwood, Fitzroy, Flemington, Footscray, North Melbourne, Port Melbourne, Prahran, Richmond, South Melbourne, South Yarra, Yarraville, Bentleigh, Brighton, Cheltenham, McKinnon, Mentone, Moorabbin, Mordialloc, Ormond, Sandringham, Seaford, St Kilda, Altona, Braybrook, Deer Park, Hoppers Crossing, Laverton, Point Cook, Sunshine, Werribee, Atwood, Hillside, Melton, Keilor, St Albans, Taylors Hill, Tullamarine, Coburg, Craigieburn, Epping, Essendon, Fawkner, Glenroy, Greenvale, Lalor, Moreland, Pascoe Vale, Reservoir, Thomastown, Bundoora, Diamond Creek, Eltham, Heidelberg, Northcote, Plenty, Preston, Thornbury, Warrandyte, Watsons Creek, Carnegie, Caulfield, Clayton, Glen Iris, Glen Waverley, Huntingdale, Malvern, Mount Waverley, Noble Park, Oakleigh, Springvale, Toorak, Wheelers Hill, and surrounding suburbs. For product availability and rates, contact us at 03 9041 4765 or check our WEBSITE.